Dubai: The surname ‘Nayanar’ is likely to raise queries about a possible connection with E.K.Nayanar, the former Kerala chief minister and a pillar of the Communist party. The 16-year-old Varun Nayanar, a UAE-based school cricketer, comes from the family but with the promise of making a name for himself in future. It was a windfall for the Class XI student of GEMS Modern Academy in Dubai, who jets down to India frequently to represent the Kerala Under-19 team, when he received the news of his inclusion in the India Under-19 team on Tuesday for a two-Test series against the visiting South African colts later this month. Both the four-day Tests will be played in Thiruvananthapuram, with the first one scheduled to begin on February 20. “It’s a proud moment for me as I was not expecting a call-up in the national team so soon. However, I will try not to psyche myself by thinking about the matches too much and do my best if the opportunity comes,” an ecstatic Varun told Gulf News on Tuesday. Nayanar was the uncle of Varun’s grandfather (mother’s father) but the youngster was born just two years before the leader died in 2004. India, who are current Under-19 world champions, boasts of long assembly line of talent at this age group — with the likes of Prithvi Shaw and Shubman Gill being the latest to make the leap into the senior team. 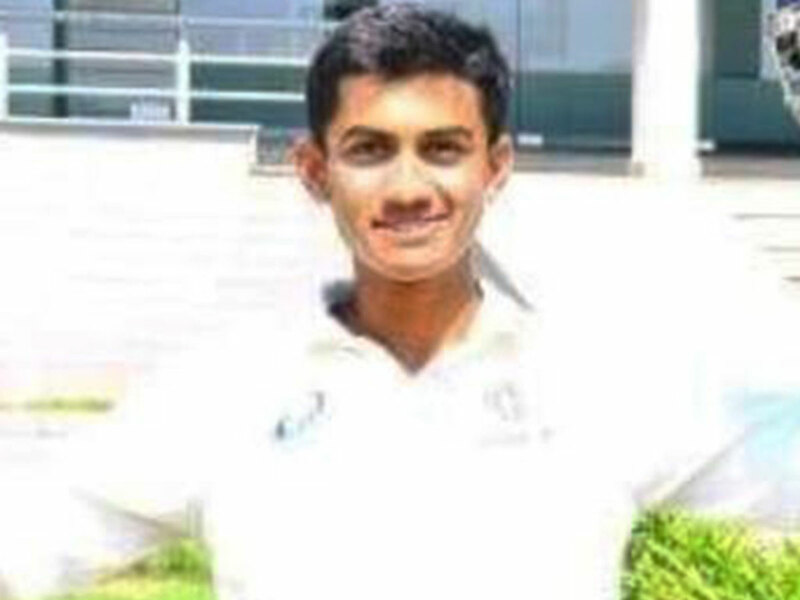 Varun, who became the youngest Kerala player to score a double century at the Under-19 level in December last year, recorded a major ‘first’ to his name when he became the first expatriate cricketer from Dubai to make the junior India team. Incidentally, he is only the second cricketer from Kannur district to make the junior national team after J.K.Mahendra way back in 1967. The Kricket Spero Cricket Academy in Dubai saw Varun cut his teeth only a few years back, from where he was recommended to the Kerala Cricket Association (KCA) to turn out for his district team at the junior level. “I had started off as a leg spinner but my coaches at the academy, Sony Cheruvathur and Pious sir wanted me to try batting and wicketkeeping and that changed me as a cricketer,” said Varun, who also thanked his school principal Nargis Khambatta and coaches ‘Shafiq sir’ and ‘Salim sir’ for his progress so far. An opening batsman and wicketkeeper, Varun says he is ready to bat at any position in case he is drafted into the playing XI for the Tests. “I have batted lower down at No.5 and 6 when I captained the state under-15 team,” said Varun, who prefers to build his innings rather than adopt a slam-bang approach. “Tests are my favourite format of the game and I aim to prepare myself to play for the senior team in the longer version some day,” he said. Finally, who are the modern greats who have inspired him? “I always love watching AB de Villiers and Kane Williamson in action,” pat came the reply.